Halifax, NS – 19 March 2019 – DHX Media, a global children’s content and brands company, will be bringing a slate of exciting new live-action and animated series to Miptv this April. 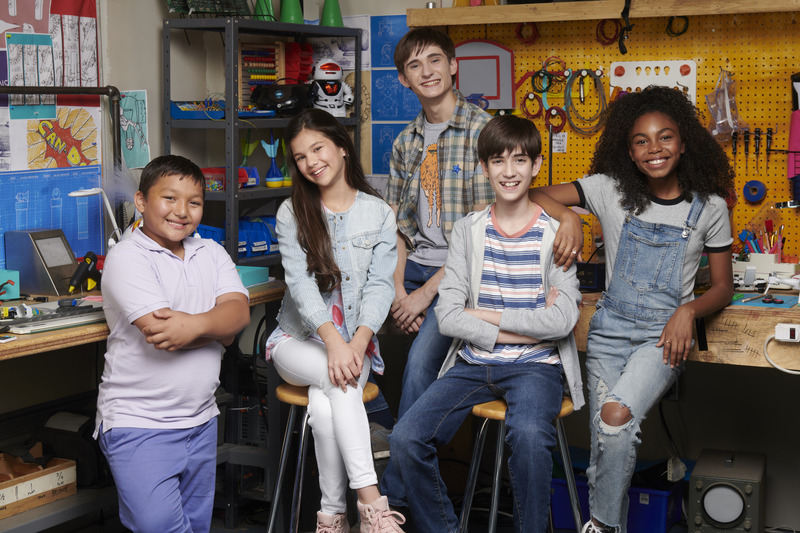 Newly greenlit by DHX Television’s Family Channel in Canada, and also picked up by CBBC for the UK, Up in the Air (15×22’) is the latest live-action series for tweens from multi-award winning producer Frank van Keeken, creator of such hits as The Next Step and Lost and Found Music Studios. Produced by van Keeken’s Beachwood Canyon Productions in association with Family Channel, Up in the Air is the story of a gymnastics family looking for redemption and glory, as 12-year-old Jenny struggles to follow in the footsteps of her mother and grandfather to become a competitive gymnast on the world stage. Up in the Air is set to begin filming in spring 2019. Also on DHX Media’s Miptv slate, Bajillionaires (20×22’) is a hilarious live-action kids’ comedy that follows the exploits of a group of fledgling entrepreneurs running a tech start-up out of one of their parents’ garages. Led by 12-year-old CEO Max Graham, the neighbourhood pals are constantly brainstorming ideas for the world’s next great invention, and while most of their creations are hilariously bad, totally weird and wildly impractical, the kids are always learning something new, becoming better friends and getting one step closer to their BIG idea. Bajillionaires is produced by Six Eleven Media in association with Family Channel and is set to premiere this fall in the U.S. on Universal Kids, NBCUniversal Entertainment & Lifestyle Group’s network for kids 2-12. And for younger viewers, the brand-new CGI-animated Rev & Roll (52×11’) will also be zooming in to Miptv. A co-investment with Alpha Group, one of the world’s largest developers of animation and toys, Rev & Roll follows the adventures of eight-year-old Rev and his best friend Rumble – a rambunctious truck with all the personality of a loyal and enthusiastic dog! Along with a group of adventurous pals, Rev and Rumble live in a revved-up world where vehicles live side-by-side with humans. With lovable trucks, curious dune buggies, quick-thinking fire trucks and more, the world of Rev and Rumble is always in motion with jobs to be done and fun to be had! Co-commissioned by DHX Television’s Family Jr. in Canada, and Alpha Group’s Jiajia channel in China, Rev & Roll is set to premiere in fall 2019. For more information about these and other great DHX Media series, please contact sales@dhxmedia.com or visit DHX Media at booth R7.K16 during Miptv, 8-11 April 2019.